A cement mixer truck hauling a full load of concrete is very difficult to stop quickly. So, if a cement mixer truck driver who is speeding or distracted needs to come to a sudden stop, chances are he or she will be unable to do so in time. The significant weight of the vehicle not only affects stopping distance but it also affects the vehicle's handling. Rollover accidents are common with concrete trucks. The truck's axles and other equipment are under tremendous stress when the cement mixer truck is fully loaded. As such, it is imperative for the owner and operator to perform inspections of the equipment to ensure it is in good working condition so that an equipment failure does not cause an accident. In an accident between a 60,000 lb concrete mixer and a regular passenger vehicle, it is not hard to guess which one is going to come out better. Concrete truck accidents can cause serious injuries including spinal cord injuries, brain injuries, burn injuries and even wrongful death. In addition to the issues created by its massive weight, time is another aggravating factor in some concrete truck accidents. Unless the truck is equipped with a separate water tank to allow the cement to be mixed on site, the concrete should ideally be poured in an hour or less from when it was mixed. In fact, most cement manufacturers recommend the outside window is 90 minutes. With these tight deadlines, some drivers are tempted to speed or engage in other reckless driving to ensure an on-time delivery. At The Law Offices of John Day, P.C. 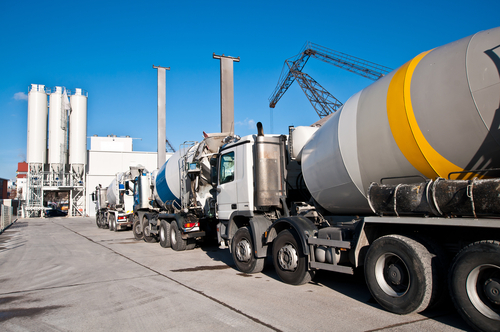 our award-winning lawyers are committed to helping victims of cement mixer truck accidents. Our goal is simple: to get you and your family the maximum compensation reasonably possible in the shortest time reasonably possible. If you would like to discuss your cement mixer truck injury case with one of our attorneys, we will be happy to sit down with you in a free, no-obligation consultation in which we will answer your questions, advise you of your rights and explain the types of compensatory and punitive damages to which you may be entitled. Contact us online or call us at 615-742-4880 or toll-free at 866.812.8787. Truck Accident Lawsuits -- Who Is To Blame?